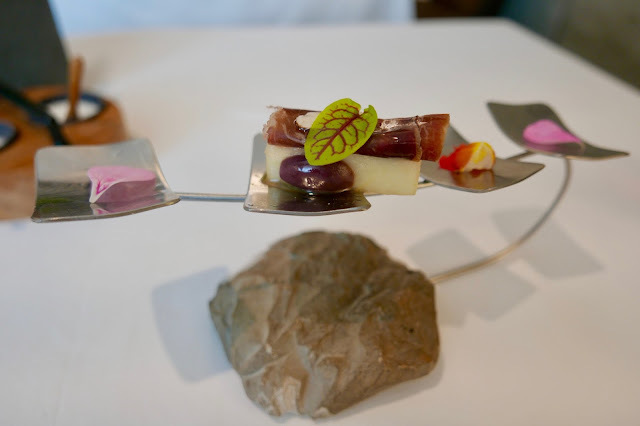 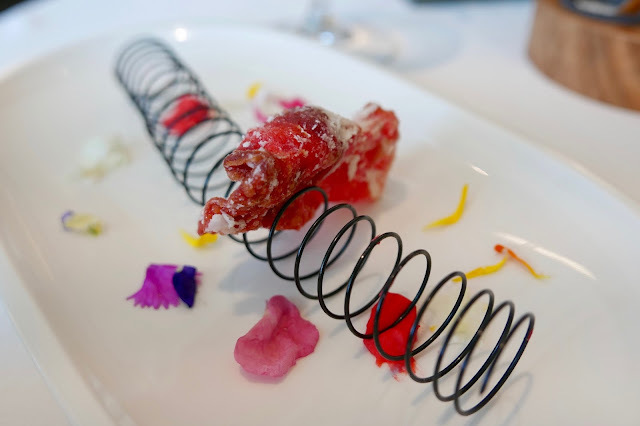 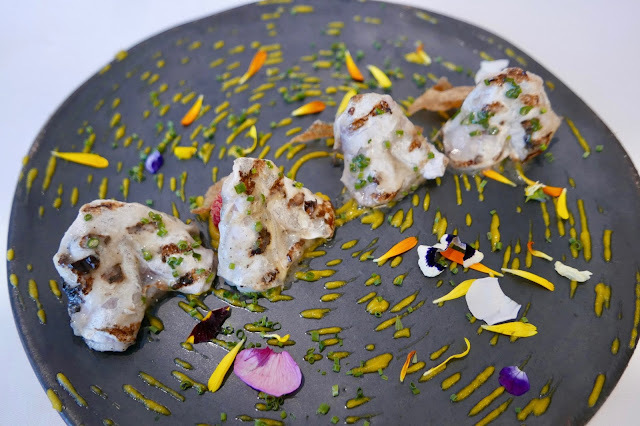 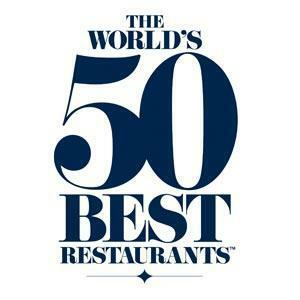 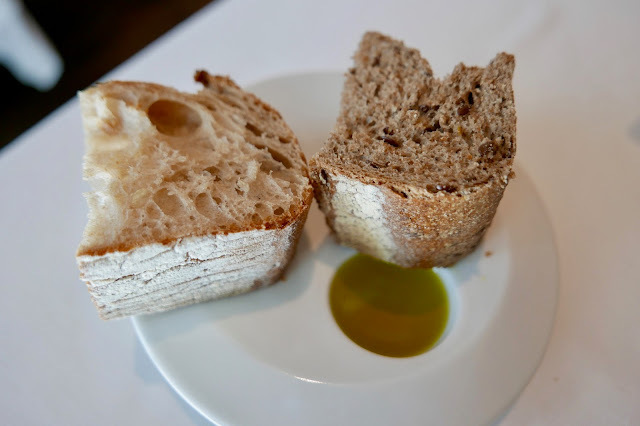 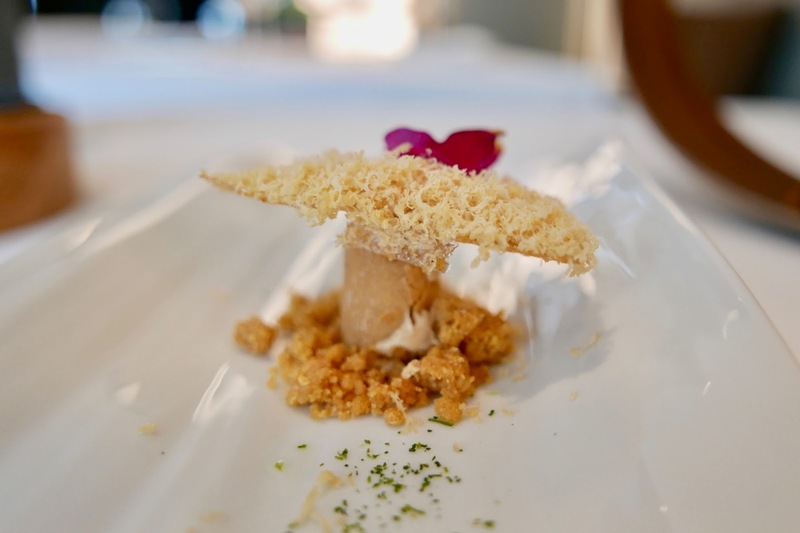 A perennial of World’s 50 Best Restaurants and recipient of 3 Michelin Stars, for a long-time, Arzak has been amongst the pivotal places that make Donostia / San Sebastián one of the hottest destinations in the world to enjoy fine foods. 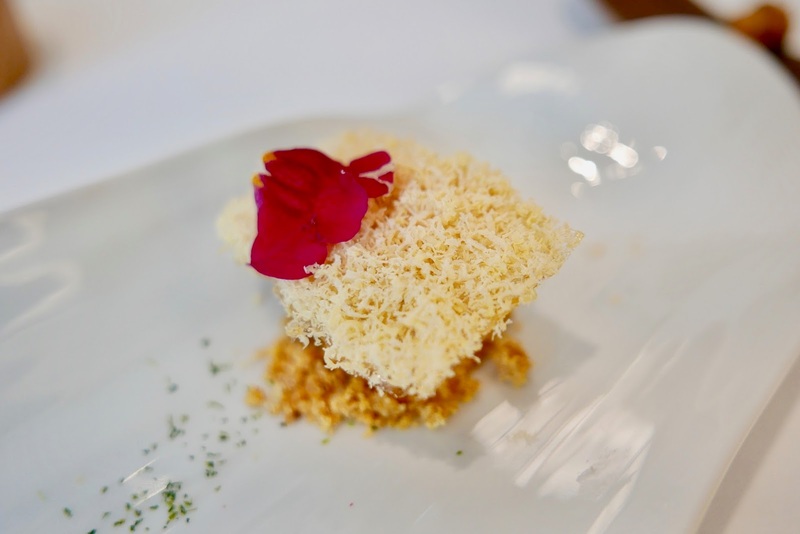 Situated a litle out of San Sebastian’s pintxo packed old town, for over a hundred years, generations the Arzak family have contributed to making the restaurant the bastion of Basque cuisine that it is today. 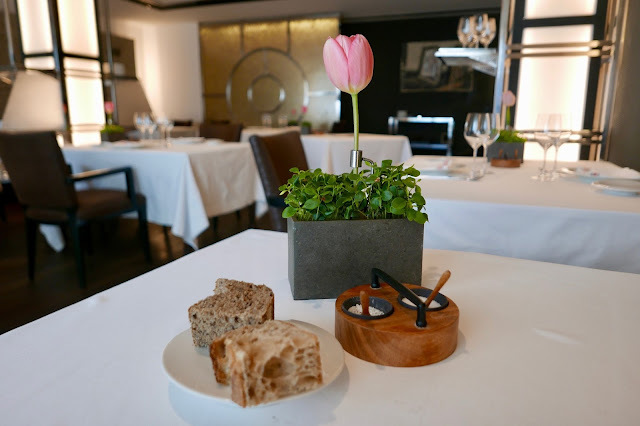 Arzak is undoubtedly founded on tradition but now sits at the forefront of modernity thanks to the visionary Juan Mari and his supremely talented daughter, Elena – on the day of my visit, both Juan and Elena were in house, taking turns to oversee the pass, plus warmly meet, greet and chat to diners at their tables. 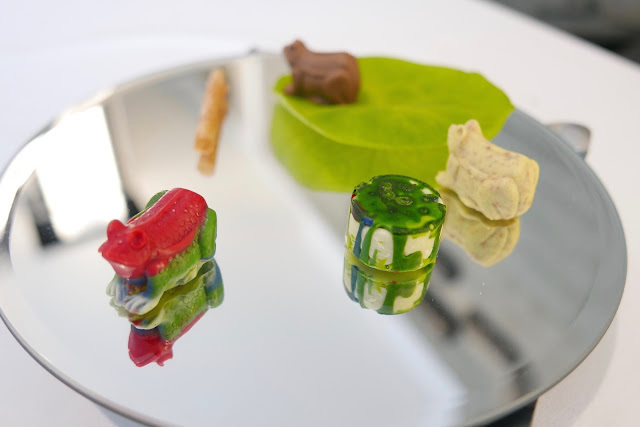 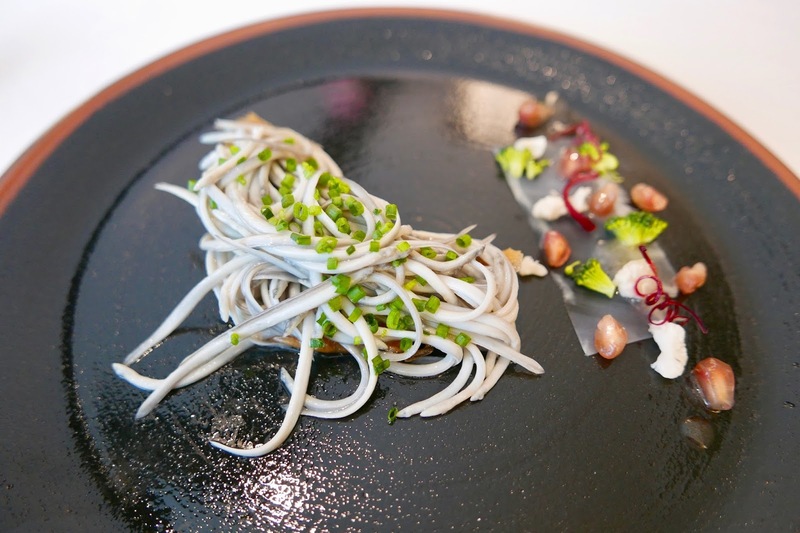 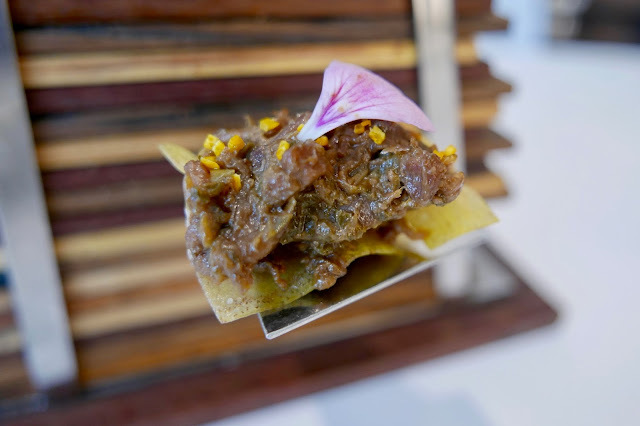 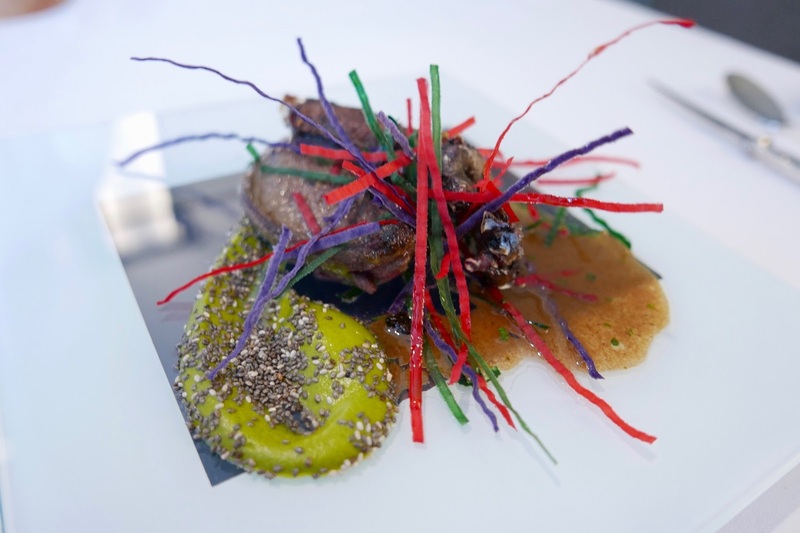 At Arzak, most diners opt for the tasting menu, however, after chatting to the front of house team, I opted to construct a bespoke tasting menu from modified versions of à la carte dishes. 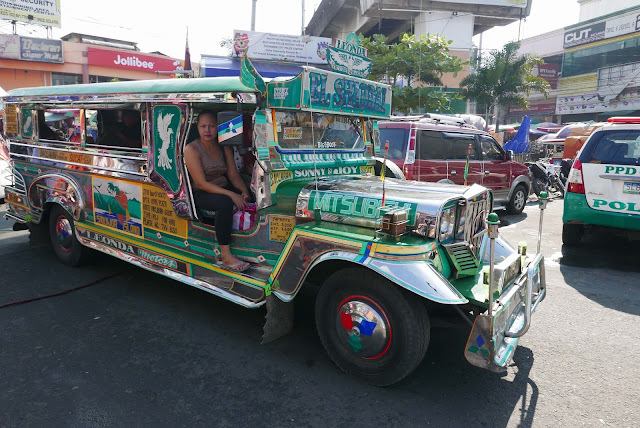 A wise decision as it afforded me an opportunity to try a wide selection of dishes that piqued my interests and tastes. 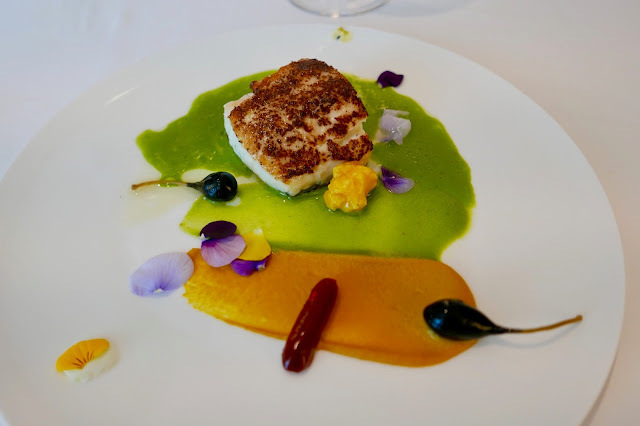 I’d visited Arzak previously, but this meal was the best yet! 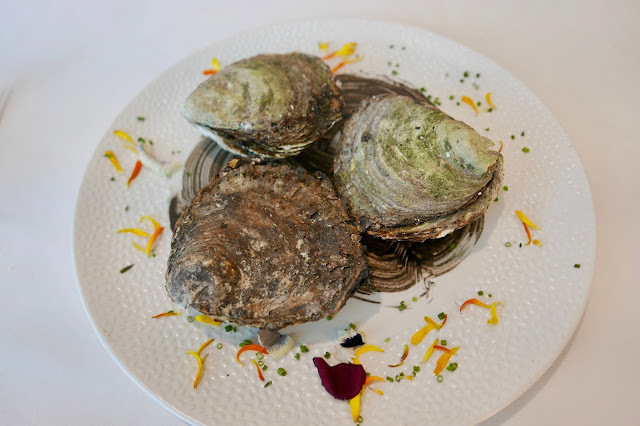 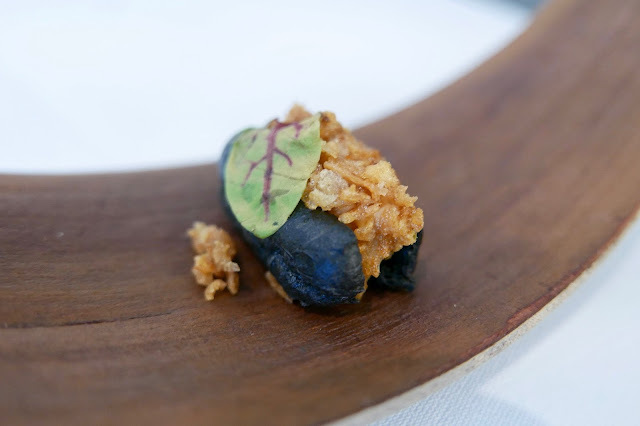 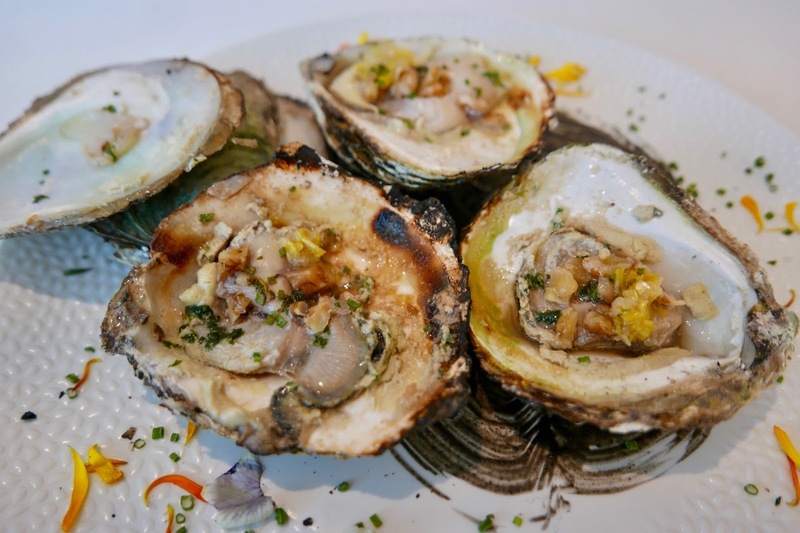 – Oysters pinned over the coals, cooked in their natural juices with fermented garlic, onions, vanilla and cacao. 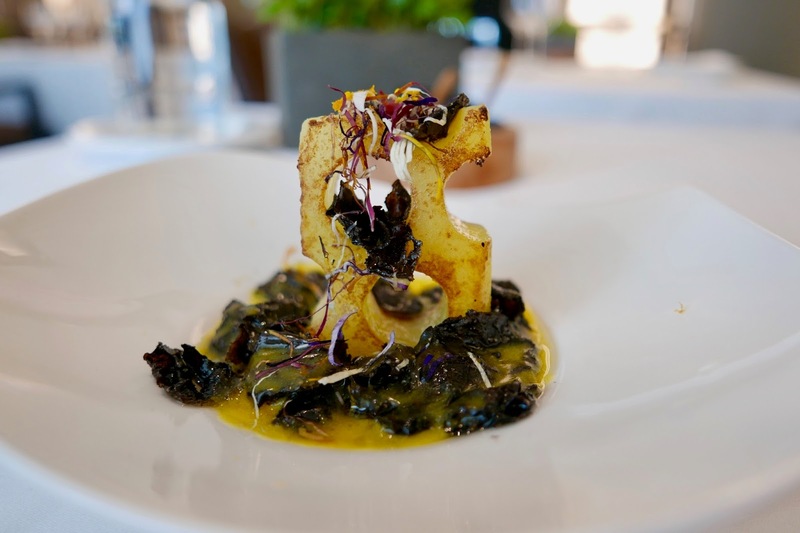 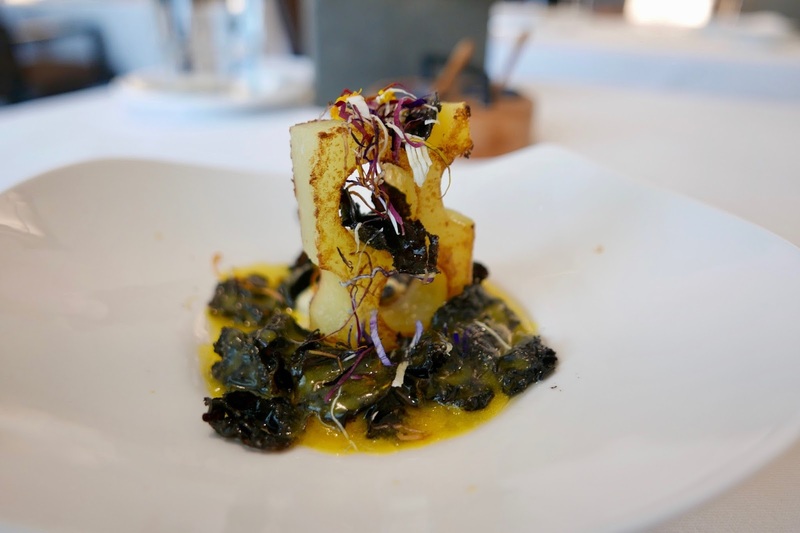 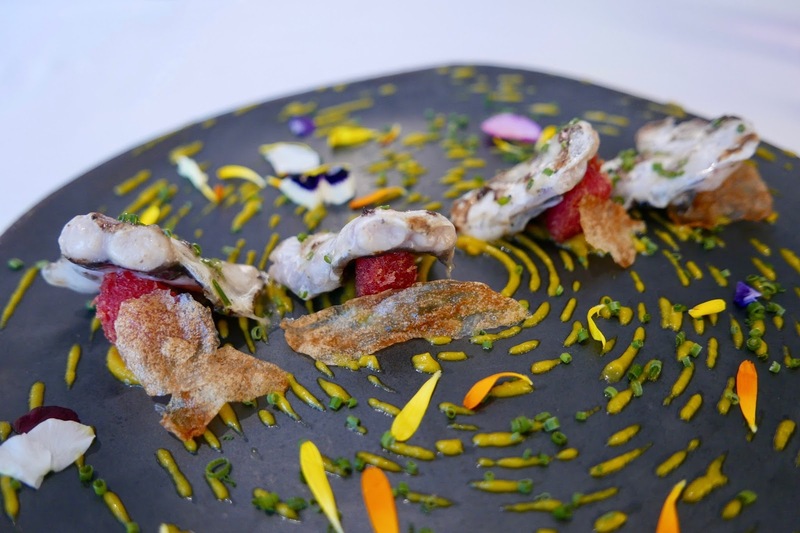 – Grilled hake chins on a coconut and turmeric spiral with “pearl” and squid crisps. 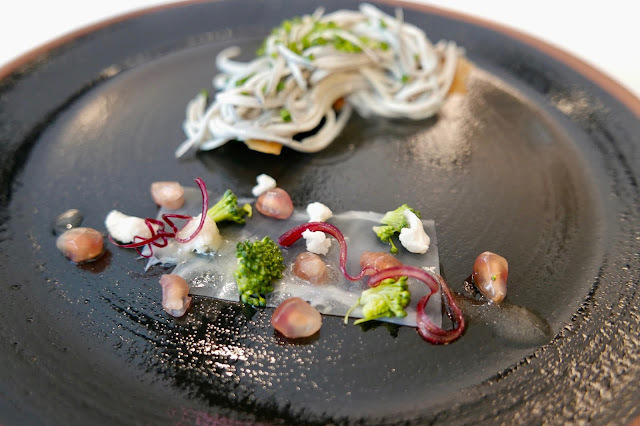 – Baby eels and codium seaweed. 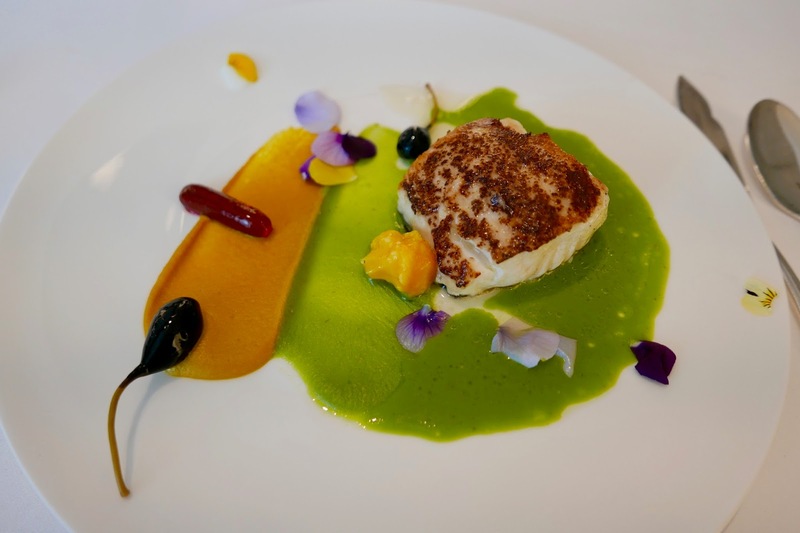 – Hake accompanied by spinach, turmeric and colourful pickled vegetable paints. 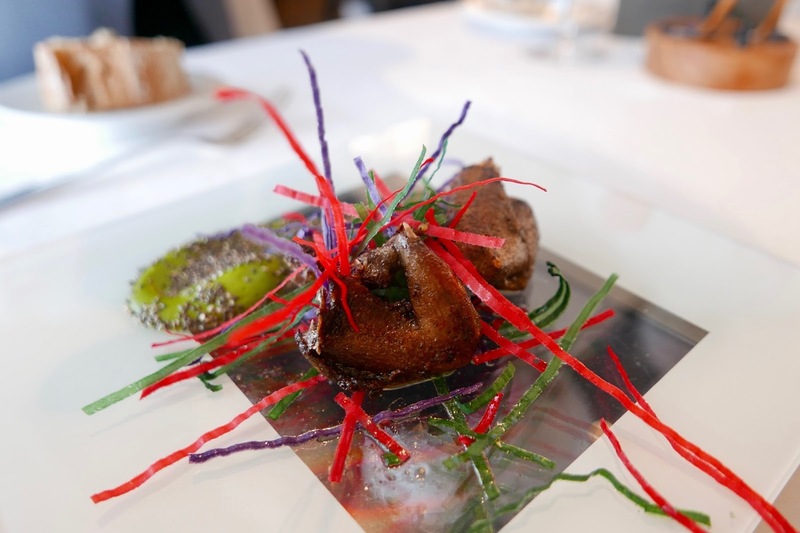 – Roasted fowl accompanied by goji berries, dried tomatoes, cherry acorns and its own roasting juices. 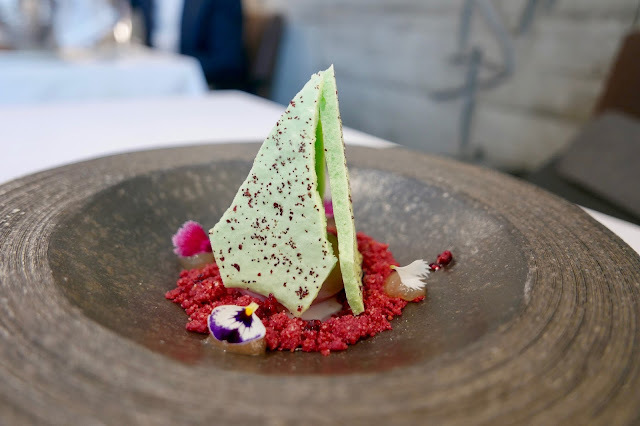 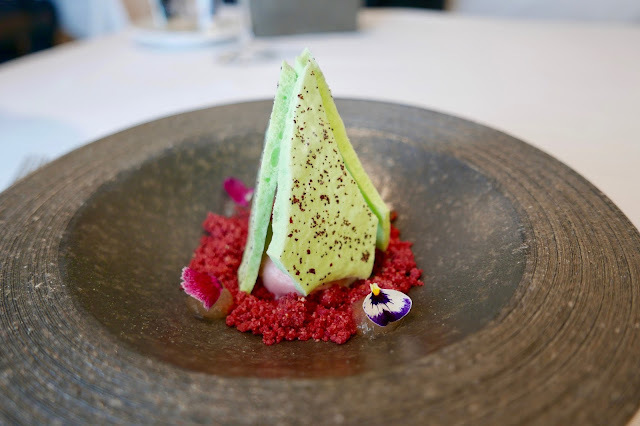 – Over a beetroot crumble, hibiscus ice cream with melon juice and dried bergamot and sumac meringue. 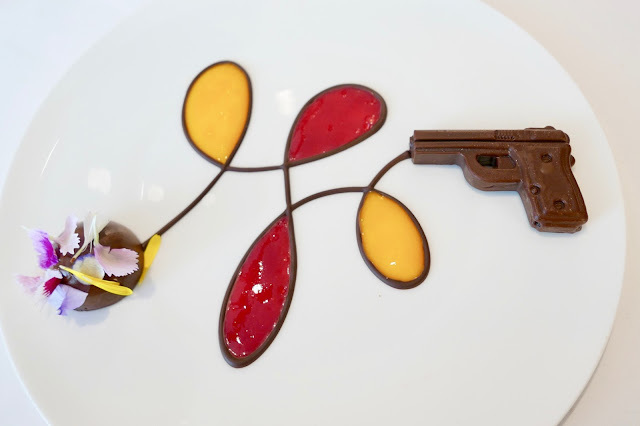 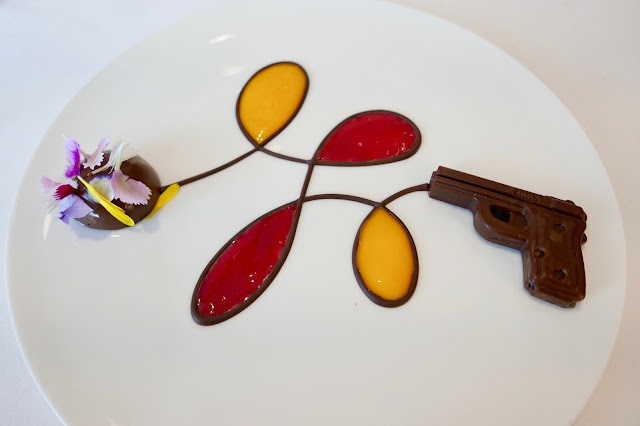 – Chocolate pistol with black current filling.